Last year’s Panama Paper leaks not only exposed the truth behind the corrupt and swindling ways of Nawaz Sharif but also the person he really is. It turns out that behind his false facade of being a selfless father, husband and brother, Nawaz is really nothing more than a self-involved actor who took our country for a ride. Furthermore, he claims to love nothing more than his countrymen and is quick to rise from the ashes like a phoenix (despite being ousted repeatedly), when this is anything but true. Last week, in a great twist of irony, Nawaz finally decided to take us on a literal ride. He set off on the most absurd and excessive road trip with a cavalcade of a 1,000 cars, travelling 380 kilometres from the nation’s capital to his hometown. While Nawaz’s journey would have made his flashy Saudi friends proud, it only proved to the world just how asinine, self-obsessed and out of control he has become. The self-professed point behind these hijinks was for Nawaz to be with his supporters, console them and to rally together as a nation in protest of a biased verdict. The way Nawaz chose to do this was by making grand stops along his beloved motorway, holding rallies with his groupies and hurling insults at all those who were within a 100-mile political radius from the Supreme Court (SC) decision (the army, Imran Khan, etcetera). Fine and fair because any decent democracy gives you the freedom of speech and freedom of association, right? Sure, yes. Except that the SC, in reviewing the leaked Panama Papers and the former prime minister’s alleged involvement in a grand tax evasion scheme, did precisely what it has constitutionally been set up to do. So for Nawaz to condemn the verdict against him by going on the lam, exhibiting anti-social political behaviour and inciting mob mentality and chaos across the country just goes to show a reckless and wanton disregard for the rule of law. What is even more disturbing is that Nawaz casually dismissed the death of a nine-year-old boy who was run over by Nawaz’s many vehicles as “an accident”. This is not only deeply disturbing, it is egregious and it is criminal. The boy’s death – who had been accompanying his father to the side of the highway where hundreds had gathered to watch the Nawaz cavalcade pass by – is extremely tragic and devoid of sense. So much so that I am compelled to address it before addressing the SC’s constitutional right to reach the decision that it did in the Panama Papers case. Nawaz (and his party people and family members) very briefly addressed the death hours after it happened. In passing, at one of his rallies, Nawaz touched on the murdered boy as a sad yet unavoidable accident. Except, the boy’s death was not an accident and was very much avoidable. Hitting a trash can when reversing your car is an accident. Mowing down a child while driving full-speed on a highway packed with people is not an accident – it is murder. But sadly, as all the events of the past few days tell us, the law is something that Nawaz thinks he is above and beyond. Being prime minister does not make you immune from being held accountable for looting and defrauding the country. Neither does having one of the men who is taking direct orders from you kill someone in the process, absolve you of all accountability. So no, Nawaz cannot simply dismiss this dead young boy as a casualty in the pursuit of justice and democracy. Because what the SC’s verdict has told us, if anything, is that this country can and should start its slow pedal towards accountability. And I cannot think of a better place to start then by discouraging Nawaz’s anti-social and solipsistic behaviour. If Nawaz truly loves this country as much as he claims to, then he must publicly and fully accept the decision rendered against him by the country’s highest court. He should do this for no reason other than to preserve and promote respect for the rule of law and for the Constitution. So far, what we have seen in the aftermath of the verdict is an embarrassingly noisy public breakdown. 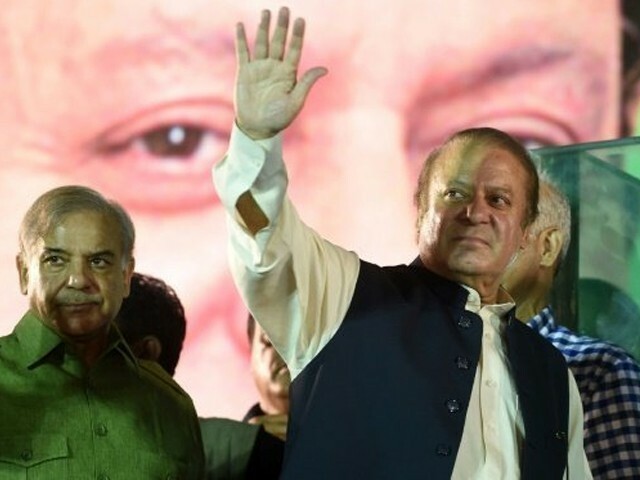 A road trip, numerous rallies and most recently, filing a review of the SC’s decision are all signs indicating that Nawaz thinks he can make reality bend to his will. Never mind that the very purpose of a SC is to do exactly what it did. Never mind that if it were someone else instead of him, let’s say Imran Khan, Nawaz would have supported the SC’s decision and would have advised the indicted to respect the rule of law and the Constitution. The Constitution sets up three command centres – the legislature, the executive branch and the judiciary. And the purpose of the judiciary, that is the SC, is to make sure that the other command centres (i.e the prime minister’s office) does not fall prey to populist caprice and demagogic excess. In other words, the very function of the SC is to review (but not make) law and to serve as a buffer and gatekeeper. Admittedly, there are cracks in the SC’s verdict, cracks which indicate a disturbing lack of neutrality and impartiality. And while no one in this country wants that to be true, Nawaz himself cannot try and be the one to prove it. Why? Because for someone like Nawaz to attack the credibility of one of this country’s most important institutions is a dangerous recipe for renegade political and social behaviour. Nawaz would have us believe that his acts of protest are not motivated by self-interest or naked self-ambition. He wants us to blindly accept that his upset over the SC verdict is not political but due to ethical and moral considerations. But the truth is that these small but numerous acts of protest are highly flammable and can quickly spiral into something well beyond our control. Because by chipping away at the influence of the SC, politicians like Nawaz will only become more individualistic and unaccountable over time. And by demonising and disempowering an esteemed judiciary, politicians like Nawaz will only lead us towards a quicker political disintegration. And by feeding our anger and manipulating our emotions, politicians like Nawaz are only threatening more political disruption – a price that our future generations will have to pay in the form of even more governmental dysfunction, similar to the price we’re paying today for the actions of previous rulers such as Ziaul Haq or Zulfikar Ali Bhutto. Law is not being distorted. That implies it is being changed or broken. At best you can say it being stretched or applied literally, but that does not mean it is being broken.And law has nothing to do with popular mandates. It may have happened in the past, but don’t forget that nawaz was either directly involved or a beneficiary in at least 4 instances. It’s a true saying – what goes around comes around! say lack of neutrality,…cracks…? Huh? Wha? So what were trying to prove? Beyond a reasonable doubt ? Was the SC judgement ‘sadiq and amin’? SC is the end of the line. There is no higher judicial authority. It’s done. Say, can you make up your mind. You being an attorney and all. Liechtentenstein? Macau? Bahamas?….10,000 dirhams a month. Nice and tidy. Please stop trying to defend Nawaz, GKA. It is no longer interesting to do so. A popular mandate only exists because of the Constitution. And that same Constitution provides checks and balances which limit the legitimacy of the popular mandate. Nawaz’ popular mandate — of dubious legitimacy anyway, given the bribery, rigging, and intimidation rampant throughout the election process — has been rightly nullified by the long overdue judicial recognition that Nawaz is not qualified for his political role. You mean there’s lesser understandings and greater understandings? Of the Supreme Court judgement? Two caibers? for THEM, for US? the 129 million oppressed, looted, plundered, captive audience in Punjab. poor ‘They Done Me Wrong’,..Emperor Commodus Sharif. When it comes to the Bozo Bros Saad and Dar Circus and Travelling Show. him a ‘human sacrifice to Nawaz’s Campaign.of ReCloning himself. be living in penury. Oh ! Forgot Massive flight of dollars USD .too. $23 billion dollars….so the economy is good? How? The SC is not a trial court. Having said that, the institutions that are responsible for providing a check and balance plus accountability like NAB, ECP, SECP etc have been deliberately rendered impotent by civilian governments…..leaving no option for the SC but to step in. The SC had the difficult task of holding a sitting PM accountable and they did an admirable job by upholding both the Spirit and the Letter of the Law. The process is ongoing and the fact that the Sharifs have refused to appear before the NAB being supervised by the SC, says a lot. Read again He is not a lawyer. He is referring to the blogger. Nawaz Sharif was disqualified from the public office. He was not disqualified from citizenship or holding political rallies.